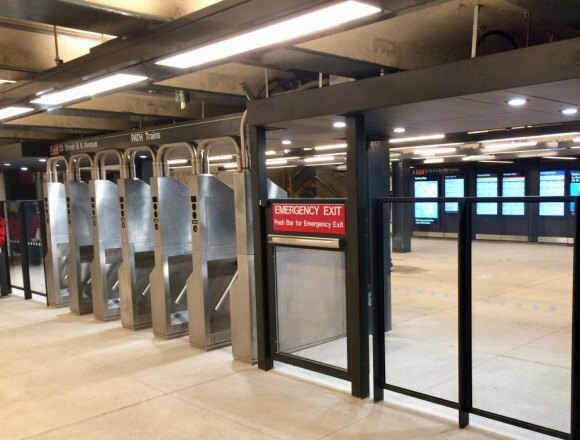 A clean, fresh look for the entrance lobby. 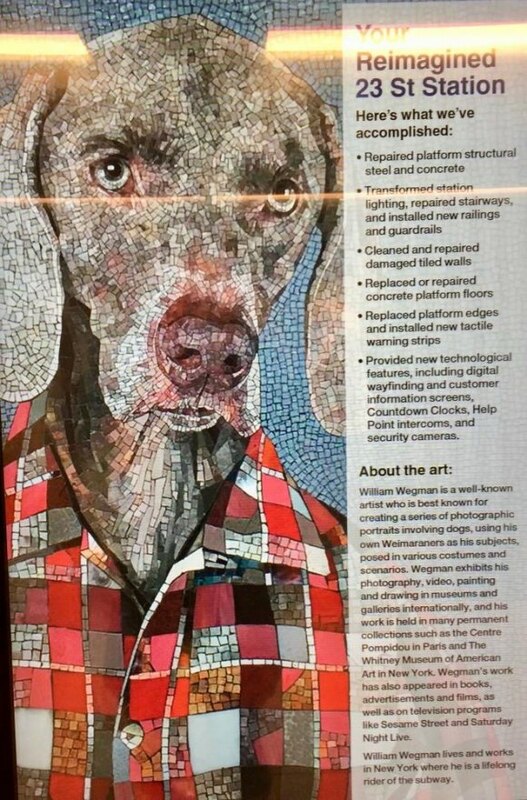 Your host, a welcoming Weimaraner courtesy of New York City artist William Wegman. 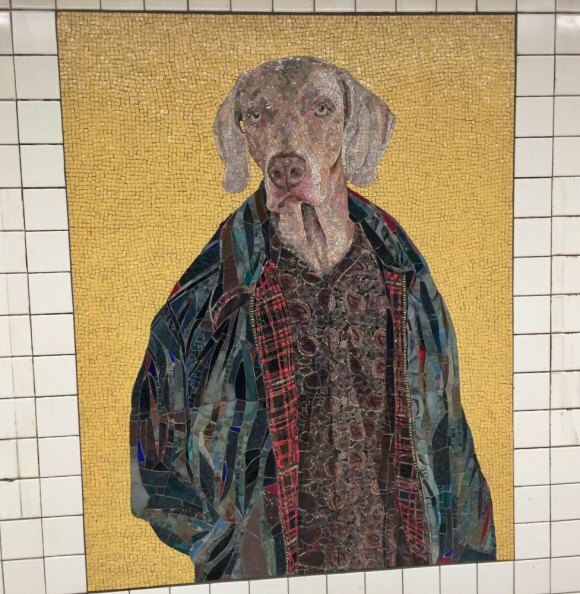 To humanize a station, add canines. 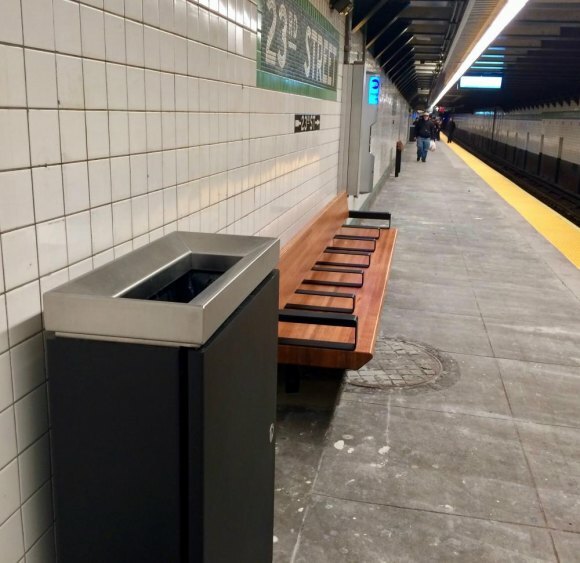 New fixtures refresh tired benches and industrial waste cans. 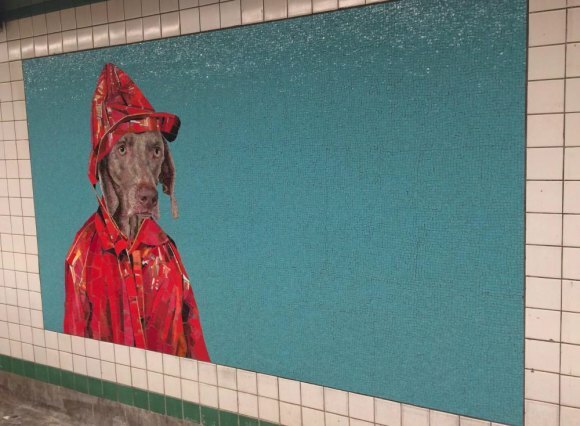 William Wegman art for a rainy day. 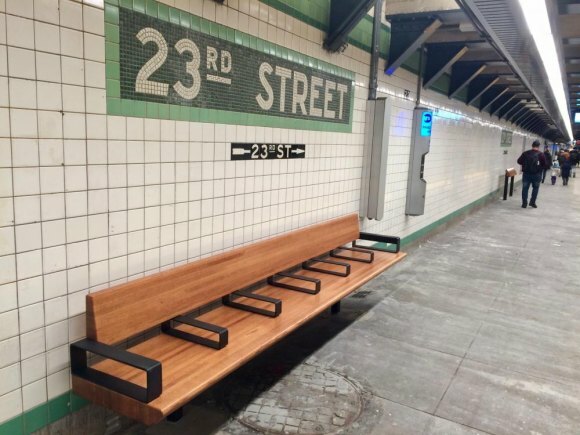 The old benches were as tired as these are fresh and designed for comfort. 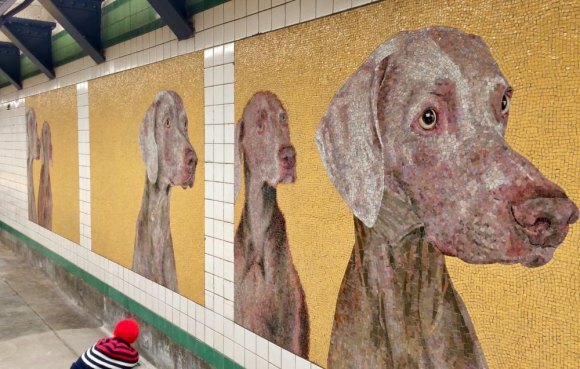 Probably too many William Wegman dog mosaics, but I like dogs. Sorry.